Hmm, well not a relaxed weekend, but an up and down one. I dunno if you can tell from the blog posts (or lack thereof), but last week was not a particularly good headspace for me. Was just feeling especially lonely. Normally I can't relate to lonely single people much at all, but last week I felt like I was drowning in it. Sigh. The weekend started off with an Italian Cooking Course at uShef. Now this sounded like a fab idea when I bought it back in November. But I hadn't been able to use it till now and on Friday I was certainly not in the best mood for it, or to be the only one there on my own. It did not serve to help my mental state at all. But aside from that I really did quite enjoy it - I even had to make mushrooms. Haha, the irony, since they are on of my list of foods I don't like to eat ... which is topped by olives, followed by asparagus (which I did eat on Friday night, but it was wrapped in bacon and pastry and not all bad, I will say!). The course itself was quite cool and I think it might be quite cool to organise something again with people I know. But then when I really think about it I'm not entirely sure how much I like these sorts of courses. The first Cooking course I ever did was an 8 week one (1 night a week) at Pick n Pay's School of Cooking, which I loved and everyone made the exact same dish. These one-off evening courses seem to be more of the everyone makes some random dish (that you have no hand in choosing, and therefore can end up making something like mushrooms :P) and everyone tries everything at the end. And everything is ready for you and you do no washing up (not like the original course I did). So anyway, that was okay and probably good to get me out of the house for a bit. Met some nice people honestly. And then came an early Saturday morning, which I was *really* looking forward to. So, I've been on a mission lately to go to the local museums and on Saturday I'd organised a private tour with Jo from Past Experiences to take 8 of us on an archaeological tour of the Origins Centre at Wits. The best part was we even got a sneak peek at the Wits Collections room, which was fascniating (I know The Peeb was jealous!). On Sunday, I guess perhaps after Saturday's full day of people, I woke up feeling blue again. I had a lazy start to the day and went for my walk and even headed off to Rosebank in search of the final 4 frames I need for my wall. But I was not in the mood at all. After a little bit of grocery shopping for the week ahead on my way home, I ended up going and spending the afternoon with The Trucker. Which was exactly what I needed. We sat and chatted and watched the storm and played music and went for a long walk after the rains and got take out and watched Lord of War. A perfect Sunday, really. 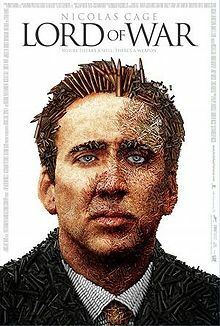 We'd both seen Lord of War before, but not in ages. Still a brilliant movie. Still amazed that you made mushrooms! I've been meaning to get to the Sci-Bono Musuem for ages. Glad to hear it's worth it.